(Jan 8, 2017) Teams across EYSA make time to serve their communities in almost limitless fashion; many often take advantage of the opportunity to do a little team bonding. Listed below are just a few. Please send us your teams' stories to webmaster@eysa.org. We'd love to hear how your team gets involved. EYSA families are asked to join Eastside FC B99 Red in collecting warm winter clothing (coats, mittens, hats and socks) for foster kids. There will be donation bins at Eastside FC's Preston park from 5:30 - 9:00 next Tuesday through Thursday, Jan 10-12. Clean out your closets and help the community! 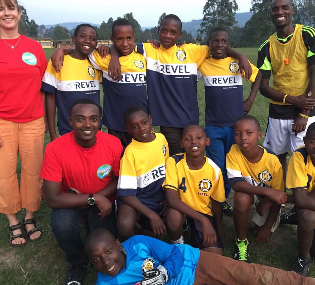 This post-season, Bellevue United FC partnered for the second year in a row with Soccer2Unite, a local organization that collects new and gently used soccer gear for children living in East Africa. All gear collected (uniform kits, cleats, shin guards and balls) goes towards Soccer2Unite's mission: Inspiring the children of Eastern Africa to strive for their future through the international language of soccer - one child, one smile, one soccer ball at a time. In November, LHSC's U10 Marmots also collected gently used soccer gear to put to a good cause, sending cleats, uniforms, shin guards, balls, goalkeeper gloves, etc, to PeacePassers.org, a non-profit organization that identifies and coordinates such collections for communities in need around the globe. 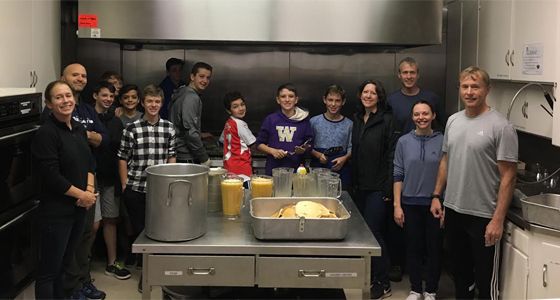 Players and parents from Eastside FC B03 White spent a recent Saturday morning in December feeding the homeless at First Covenant Church in Seattle. The boys helped set up the dining area, prepared food, served and cleaned up afterward. Over one hundred people enjoyed eggs, sausage and pancakes. The volunteers learned it was especially fulfilling for those doing the serving. 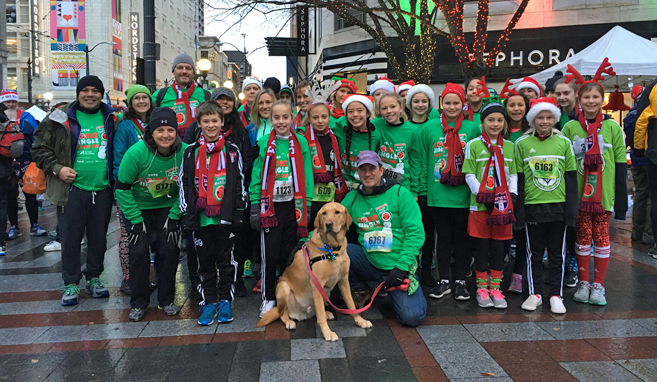 About 60 Eastside FC players and family members participated in the December 2016 Jingle Bell Run in Seattle, and raised approximately $2,700 for the Arthritis Foundation to be used to battle the debilitating disease that affects youth and seniors alike. Click here for full story.